(David Boyle is board chair of the Alaska Policy Forum. He and his wife have 45 years of Air Force experience. His words follow). As a veteran, I can tell you these can be some of the most challenging words a military member can utter to their family. Reactions can range from, “Not again. We just got here,” to, “Great news! I hate this place.” Relocating to an unfamiliar place is daunting in itself. Choosing a place to live with schools in mind is even more so. We face a lot. The movers come and pack things – some of which we might never see again. Likewise, our kids pack up their lives to probably never see their friends and classmates again. Our children feel like their friendships and social lives may never be the same. On top of that, our kids also must adapt and survive in new classrooms. In many cases, some spouses remain in their current location, so their children can complete a school year after receiving relocation orders. Some spouses even stay put until their kids finish high school, which can take years. Uncertainty of the quality of education in the next place is enough for some families to feel they have no better option than to brave the hardships that such a distance can bring. The challenge often begins with new neighborhood schools that may have a different curriculum, different sports programs, no advanced placement classes or fewer course options than families’ previous schools. Military kids lose the continuity of a curriculum. Our children could use much more stability, and many schooling alternatives, including distance learning, charter networks, virtual learning and even home schools could provide that as kids move from place to place. Those alternatives are not available everywhere – a problem for families that move frequently from state to state. It’s a problem that could be solved, however, with education savings accounts (ESAs) – a flexible type of school choice – provided at the federal level. And why not? These parents are actually federal employees. In this way, military families would have more opportunities to ensure continuity in their children’s education. After all, our kids need that stability in what, to most, would be a disruptive life. ESAs allow parents to access the public funds already set aside for their children’s education. Those funds – often distributed to families via a restricted-use debit card – can cover private school tuition and fees, online learning programs, educational therapies, private tutoring, community college costs, higher education expenses and other approved customized learning services and materials. ESAs could even allow families to use their funds to pay for a combination of public school courses and private services, depending on their children’s needs. 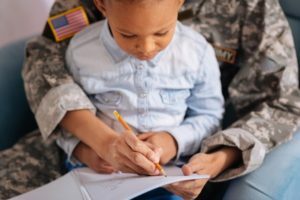 A 2017 Surveying the Military (https://www.edchoice.org/blog/new-2017-survey-finds-military-veteran-families-want-americas-k-12-education-system/) report by EdChoice found young military/veteran parents and especially active-duty military parents are more likely than their counterparts to have already sought schooling options beyond a neighborhood public school for their kids. Not only that, but the vast majority of military-connected families said they support programs like ESAs and for good reasons. Mostly, they want access to better academic environments, more flexibility as parents and more individual attention for their kids. While serving, my wife and I relocated our kids to five different state school districts in a 10-year period. I can say that finding that “good neighborhood with good schools” in which to rent or buy a home is a formidable task. How does a military family get current, valid, reliable data on a local school system? The military base or post does not provide any information on the performance of local schools. The real estate industry provides some, although it’s dated and inaccurate. Most military families get their information from friends and by word of mouth. In my experience, that was not a very good source to determine my child’s future. This information vacuum needs to be filled to help military families find the best fit for their children’s educational needs. Happy Veterans Day! Did You Know Tax Credits are Available for Hiring Veterans? Veterans, National Guard Members and Reservists remain key assets in helping meet workforce needs. A free publication for employers, prepared for the Center for America, provides clear and concise understanding along with step-by-step guidance on four new federal tax credit programs: Returning Heroes; Wounded Warrior; Activated Military Reservist Credit for Small Businesses; and the Federal Empowerment Zone Employment Credit. The guide includes links to the required Internal Revenue Service and Department of Labor forms employers need to submit. It features key eligibility and filing details, with guidance on eligibility and the specific steps to take to claim the credits. American Jobs for America’s Heroes is a nonprofit campaign sponsored by Phillips 66 and foundations to encourage employers to post full-time jobs for veterans, National Guard members and Reservists. Access the guide and additional information. The Operation Hire a Hoosier Vet career fair is coming to the Indiana State Fairgrounds on April 20. The event, in its 10th year, is the largest career fair in the Midwest focused on veterans, service members and their families. More than 500 job seekers and up to 200 actively hiring employers are expected to participate. This is an excellent opportunity for employers to try and meet their workforce needs with talented Indiana veterans. The fair takes place from 10 a.m. until 3 p.m. at the Agriculture/Horticulture Building. A separate job preparedness workshop is scheduled for 5-8 p.m. on April 13. 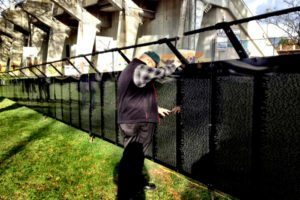 Additional information and registration is available at www.ohhv.org. The Center for America coordinates the non-profit American Jobs for America’s Heroes military hiring campaign in which 1,600 employers nationally are participating. Questions? Contact: Steve Nowlan, Center for America, at (201) 513-0379 or SNowlan@CenterForAmerica.org. Despite some recent improvement, unemployment rates for veterans — especially those who served post-9/11 — remain much higher than the national average. Hiring Our Heroes is a nationwide initiative of the U.S. Chamber of Commerce Foundation. It was developed to help veterans, transitioning service members and military spouses obtain meaningful employment. The program will be hosting a hiring fair at the Amtrak Beech Grove Shops on September 18. The event is free for both employers and job seekers and will focus on careers in the rail transportation industry. The job fair will take place from 10 a.m. to 1 p.m. and an employment workshop will be held at 8:30 a.m. Sessions at the workshop will include resume building and writing, as well as interviewing techniques. The Indiana Chamber’s 24th Annual Awards Dinner in November 2013 featured a salute to the military and veterans theme. In May, the Chamber conducted a Policy Issue Conference Call focused on employment for veterans and military spouses. The Indiana Fair Employment Poster (released by the Indiana Civil Rights Commission) has been changed to add veterans as a protected category and prevent discrimination against them. This stems from House Enrolled Act 1242. (2) refusing to employ an applicant for employment on the basis that the applicant is a member of the Indiana National Guard or member of a reserve component. We are updating our poster sets to comply with this mandatory change. You can order our new Indiana state/federal poster sets online, or contact customer service at (800) 824-6885 or customerservice@indianachamber.com. Better yet, make life much easier for yourself and join our FREE poster subscription service!